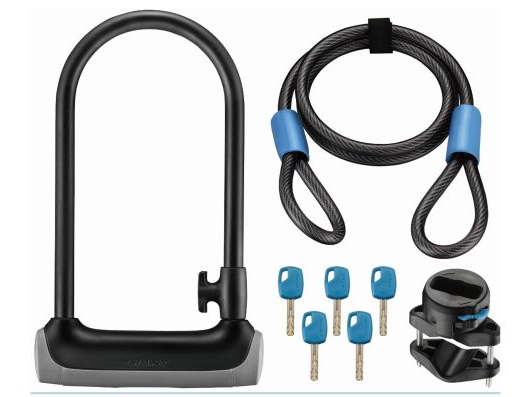 You're getting a lot of value for your money with the Giant Surelock Protector 2 U-Lock. In one pack you get both a U-lock and a Cable lock, so you can secure your frame and a quick release component. The DT U-lock is made from a super strong 13mm thick hardened steel lock with a double bolt locking system for maximum security.